What a delight our Christmas Party was. It was truly humbling to reflect on all our efforts for 2015 with The Beach People family. And what a year it was! This time last year we had just moved out of our office in our Co-Founder Victoria’s beach shack. Since then we have opened offices in LA and soon to be London, and have team members flying around the globe visiting our ever increasing family of sea lovers. 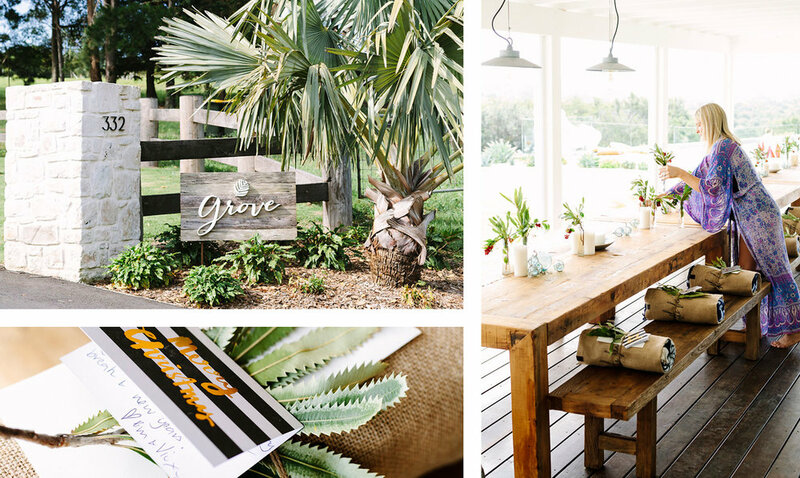 Our Christmas party all began at the beautiful Grove Byron Bay and boy we have never seen anything quite like it! The décor reflected luxe bohemia designed to perfection with an open fire pit, spa and swimming pool…when can we move in?! Our afternoon began poolside, with Roundies in tow we set up for some relaxation. 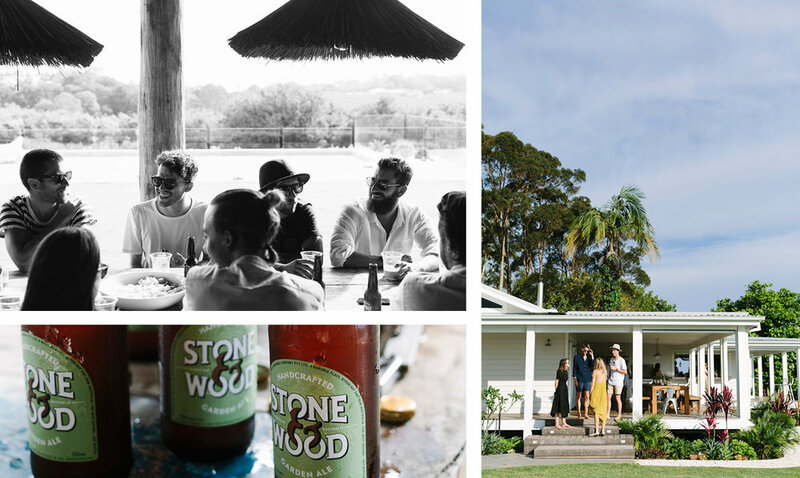 Whilst mingling by the pool and swanning around (in the pool with our giant inflatable swans) we were treated to massages and our very own private beer tasting from the team at Stone and Wood. After our massages and a very insightful tasting into the world of Stone and Wood we were served delicious mezes and soon after found ourselves back swanning around in the pool (an inflatable doughnut, pizza and watermelon also made it into the mix this time round)...the boys also had a quick but competitive game of croquet. As the night fell, a dark storm rolled over the Byron hinterland creating our very own fireworks display lighting up the sky while we feasted on our Mexicana dinner. During dinner we all gave thanks for how far we had come and our hard work this year, we even skyped our team in the USA, they were surprisingly cheery for 2am. After dinner wrapped up we moved by the fire to toast marshmallows and eat too much gelato, chocolate and Christmas treats (unfortunately none of us are very good at lighting fires so there wasn’t much fire or marshmallow toasting going on). We are extremely grateful for the wonderful time spent together to celebrate our journey in 2015. This time of reflection often gives you hope! What seems big now will soon be a memory. There are new adventures that await, new people to meet, new things to create… bring on 2016!